► What is Popcorn Time: client or tracker? ► How to watch Popcorn Time? ► What makes people use Popcorn Time? ► Is Popcorn Time down? ► Is there any Popcorn Time alternative? ► How to make Popcorn Time safe? When you learn about tips on how to use Popcorn Time VPN, you’ll never use other services. What is Popcorn Time: client or tracker? Popcorn Time is known as a free multiplatform BitTorrent client with the function of media player. Worked out in February 2014 by a team of developers from Argentina, Popcorn Time gained its popularity by means of broad range of torrent files. A full-screen catalogue of movies makes PopcornTime not only attractive for consumers but easy in navigation as well. Movie playback starts immediately after clicking on a virtual button. Popcorn Time users don’t have to wait until the file is load. How to watch Popcorn Time? Popcorn Time has user-friendly navigation enabling internet consumers to watch the best movies, TV shows and series without downloading them on a device. #1 Visit Popcorn Time site and download an installation file there. #2 Install a Popcorn Time client on your gadget. #3 Open the client and choose a movie or an episode to watch. #4 Choose the quality and subtitles. #5 Click the “Play” button and enjoy! What makes people use Popcorn Time? There’re hundreds of torrent trackers nowadays. Nevertheless, Popcorn Time is one of the most popular and frequently used. … provides its users with new episodes and the latest movies. … allows watching video without limits. … is compatible with Android, Linux, Mac and Windows. … serves to save your time on cinemas. … broadcasts video of the highest quality. … is absolutely free of charge. Do you know the history of this client? We’ll remind you in case you’ve missed some details. 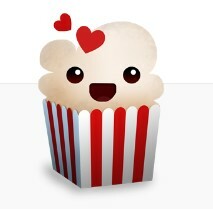 The first official domain name of this BitTorrent client “getpopcorntime.me” was used for about 1 month. But in March 2014, the team of developers closed the project in view of some law issues. The developers behind Popcorn Time client had to stop their activity in view of possible troubles with the law. During a month work of Popcorn Time the authors of the project argued about copyright issues and were about to undergo juridical prosecuting. Is there any Popcorn Time alternative? There’s no doubt that there are many other torrent trackers and clients similar to Popcorn Time. Such services may be used as alternatives to Popcorn Time in case of its shutdown. At the same time, they all are behind Popcorn Time in functionality. In this connection, several forks were created. These forks remind the former-known Popcorn Time client. Not every internet user has access to Popcorn Time site. Such restrictions are usually based on geographical position and local censorship. Thus, even Popcorn Time domains in force may become inaccessible. Downloading can bring many troubles, as torrent files are not marked as “copyright-protected”. Consequently, downloading one of movies or TV shows on a torrent tracker one can be caught and accused of copyright infringement. How to make Popcorn Time safe? There is one variant to take use of Popcorn Time being safe and sound. 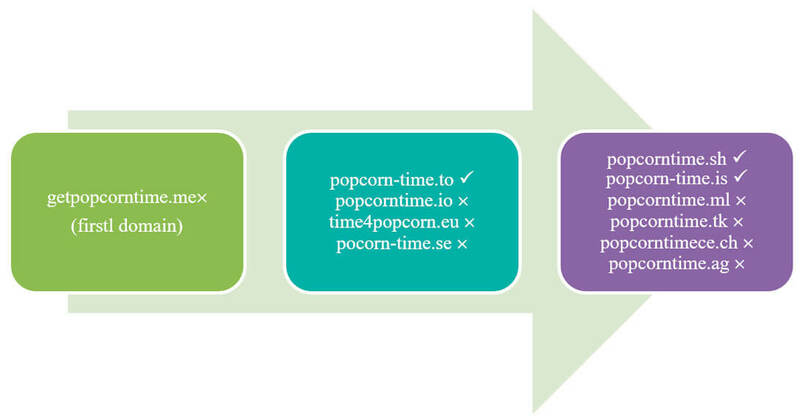 due to reliable VPN ciphering, third parties are devoid of facility to identify people using Popcorn Time. Finally, after a brief Popcorn Time review we’re coming up for the most fascinating part – free VPN for Popcorn Time. And no, it is not a fiction! ⇒ there’s possible to try various VPN clients for free. How to choose the best free VPN for Popcorn Time? We’re not going to spend your time in vain but we’ll make our best to help you find the best free VPN for Popcorn Time without compromising quality! ✒ make speed and bandwidth priority (only unlimited VPN bandwidth and speed allow watching Popcorn Time anytime). Are you ready to look at the list of the best VPNs for Popcorn Time? Well, here we introduce the best 3 VPN providers for Popcorn Time: Avast VPN, Betternet and VPN Gate. The main features such as OS-compatibility, server network, available tunneling protocols and logging system are described in the chart below. Undoubtedly, the features of free VPN providers are less impressive than those belonged to paid versions. However, don’t you find them attractive? NO payment is presupposed for unrestricted access to Popcorn Time. With a free VPN installed, it’ll become possible to do the trick and access Popcorn Time in China, Lebanon, South Korea or any other place of the world. Be private online with the best VPN, free VPN!